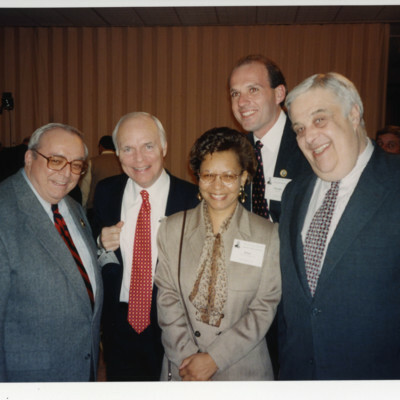 Brian Lamb, Rich Sokup, Edna Greene Medford, George Buss, and John Y. Simon. · One Book. One Author. One Hour. 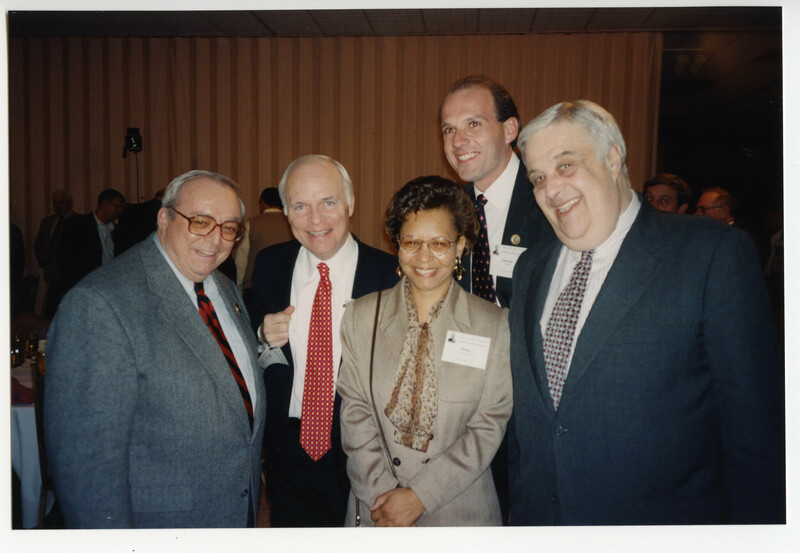 Brian Lamb, Rich Sokup, Edna Greene Medford, George Buss, and John Y. Simon. Unknown, “Brian Lamb, Rich Sokup, Edna Greene Medford, George Buss, and John Y. Simon. ,” One Book. One Author. One Hour., accessed April 24, 2019, http://booknotes.gmu.edu/items/show/3038. The group attends a gathering for the Lincoln Forum. The Lincoln Forum seeks to enhance the understanding and preserve the memory of both Lincoln and the Civil War. Sokup and Buss are historic interpreters. Medford and Simon are historians.